The 1st Strathmore Scout Hall is spacious and versatile, offering a great location for functions of up to 70 people. 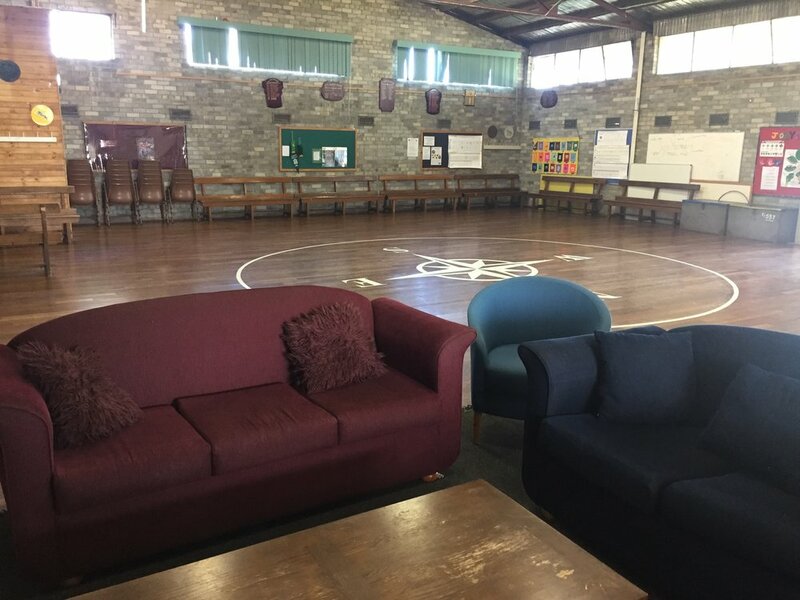 The hall includes a kitchen and bathroom facilities, stereo, fireplace and access to chairs and tables and is located on a large grassy area with a playground. Highly affordable, clean and offering easy access and parking on Lebanon St, the hall is available to community members for hire for day time events. All hirers must respect the local community and neighbourhood, and no evening parties or teen birthdays will be accepted. Contact Us to receive current details of availability and rates. Complete our enquiry form on this website and a volunteer representative will contact you to arrange details. You will be asked to read and complete this booking form to process your hall hire. Organising a party for your child’s birthday and looking for a venue? The 1st Strathmore Scout Hall has it all with an large open area and playground and plenty of room to run and play inside too. The hall kitchen is fully equipped with an oven, urn, microwave, crockery and more. The male and female bathrooms are clean and well maintained. There is heating and an open fire with couches if needed, along with chairs and tressle tables to help you configure the venue to your needs.